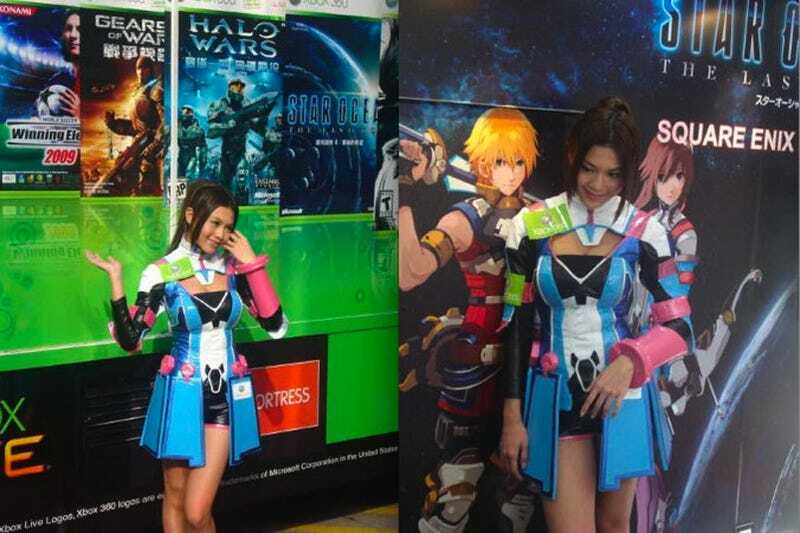 Hong Kong doesn't only get an Xbox 360 truck, but a cosplay lady to go with it. Recently, an Xbox 360 truck outfitted with LCD TVs and demo games hit the streets of Hong Kong to promote the console. There was also a cosplayer dressed as Reimi from Star Ocean 4. See that Xbox 360 badge? So official like.